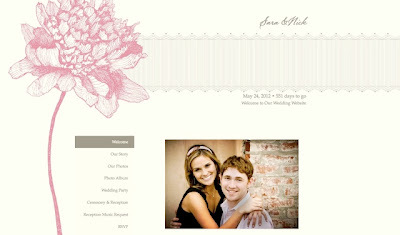 We have designed six new wedding website templates that match a selection of our Vera Wang wedding invitations, creating seamless wedding planning for couples. These websites are free and provide 100 MB of storage—plenty of room for uploading music, photos, gift registries and more! 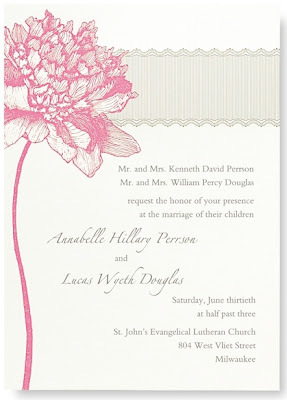 Our Peony design with grosgrain band creates a delicate wedding theme from invitation to website.